No sense of rhythm & two left feet? No problem! We teach Salsa and Latin dance in Bristol and the surrounding areas. We also DJ, perform and host events, e.g Hen parties, Corporate, Birthdays, Weddings/ your Wedding dance, Work events, Television work, Christmas parties and other Celebrations. Our main aim is to give you Salsa classes in a fun and friendly environment; we have achieved this and more with our reputation for fun and friendly Salsa nights going far and wide! Most people turn up by themselves, though we have couples and groups of friends too. Anyone that turns up by themselves is quickly made to feel very welcome and part of the group. We pride ourselves in producing some of the best dancers in Bristol and the South West who in turn help our new beginners start on their dancing journey. Anyone that wants to learn to dance we will teach! The only Salsa classes in Bristol city centre on a Tuesday night. We teach Salsa and Latin dance in Bristol and the surrounding areas. We also DJ, perform and host events, e.g Hen parties, Corporate, Birthdays, Weddings/ your Wedding dance, Work events, Television work, Christmas parties and other Celebrations. Our main aim is to give you Salsa classes in a fun and friendly environment; we have achieved this and more with our reputation for fun and friendly Salsa nights going far and wide! We teach any age range, from 18 upwards! (I teach children and teenagers as part of my private work and events) Most people turn up by themselves, though we have couples and groups of friends too. Anyone that turns up by themselves is quickly made to feel very welcome and part of the group. We pride ourselves in producing some of the best dancers in Bristol and the South West who in turn help our new beginners start on their dancing journey. Anyone that wants to learn to dance we will teach! I found the teachers very good and they knew their stuff! The atmosphere was great with all the students who seemed regulars very friendly and aproachable for dances. I recommend this Salsa night, I lots of fun! The best Salsa classes in Bristol! Fantastic salsa classes, teachers, dancing and music. It doesn't matter if you are a complete beginner, the teachers are so friendly and other students are so welcoming that you soon get into your groove and start having lots of fun! 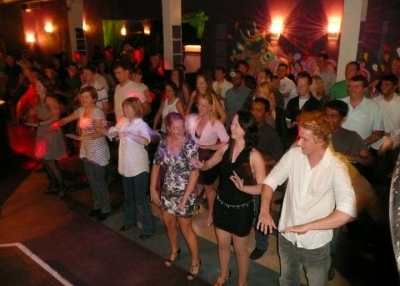 Salsa Souls offers some of the best salsa classes in Bristol. 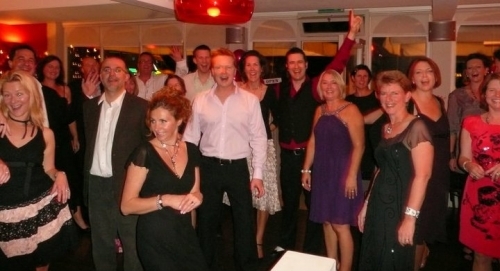 Stellan and his team are passionate about salsa and teaching, the atmosphere is great and the classes are fun. As well as salsa there are opportunities to learn other types of Latin dances at specially arranged sessions. There is also regular attendance of guest teachers which contributes to the quality and variety of teaching on offer. It's fantastic socially and I can honestly say 'I'm addicted to salsa'.